Elizabeth Furrow, of House Lannister, is forced to betrothed a Stark boy to establish peace to end the war waging and to unite and kill the feud between Houses Stark and Lannister. But Elizabeth has no feelings for her husband, and Robb has no feelings for his wife. Soon, they'd have to work something out. They'd have to. Oberyelia is the first child of Oberyn Martell. She was brought into this word from a whirlwind affair between him and a fisherman's wife in Essos. When she was very young, her mother was killed by the man she married, and Oberyelia was taken to Dorne to live out her days as a princess. She never expected to become Queen of anything, much less Westeros. She wanted to travel like her father- have fun with her life. But Ellaria Sand, a woman she sees as a mother, asks a huge favor of her. Go marry the King in the North, Robb Stark, to secure an alliance between the north and Dorne. Together, they can take the Lannisters off of the Iron Throne. So she does it. But things are not as easy or simple as they may seem. "What is a king without his queen?" Imagine that the misfortune and misery of the Stark family hasn't happened yet. They live peacefully in Winterfell, Eddard keeping an eye on the North for the King. Only, this time, imagine a girl running from her past finds herself in Winterfell on accident. She's confronted from every angle by the Starks, but she won't budge. 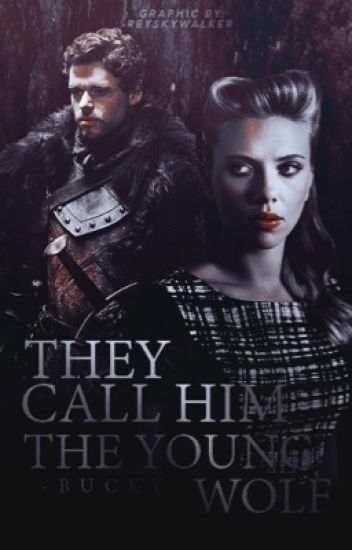 That is, until she finds herself feeling more and more ensnared by the heir to Winterfell, Robb Stark himself. Disclaimer: Thanks to the brilliant George R.R. Martin for originally creating Westeros and everyone in it. I own none of the characters or locations. Only character that is mine is Rosalie. Enjoy! Sequel to The Young Wolf. Continue along with Robb and Rosalie as they face the War of the Five Kings, and what happens when the question of an heir enters the situation. This is the story of the King in the North, his queen, and how the north remembers.